Say hello to the Chaintamer! A nifty device that controls chain slap on your bike. 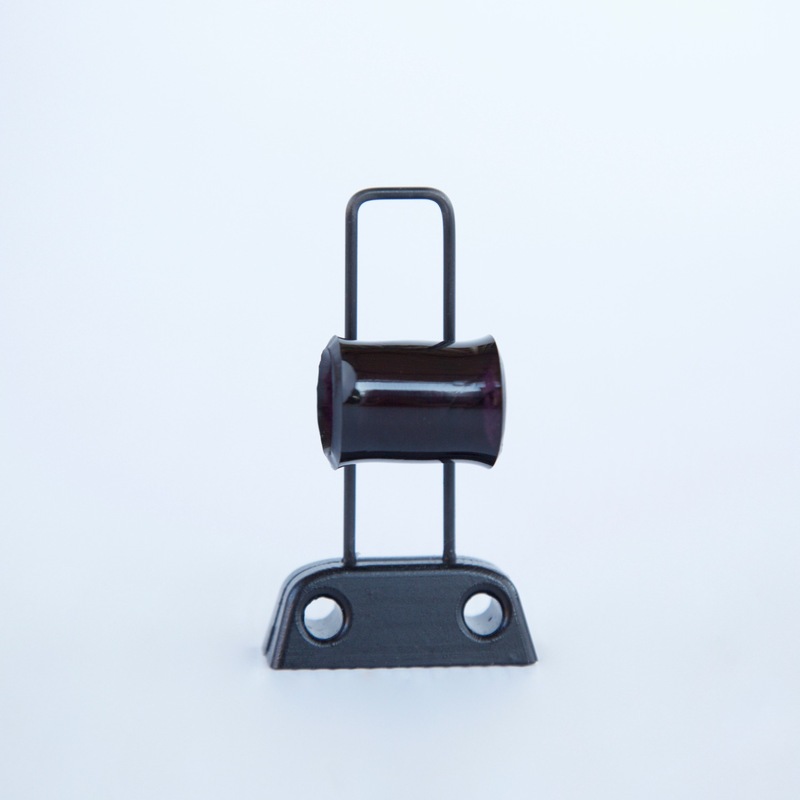 Think of it as a shock or damper for your chain. 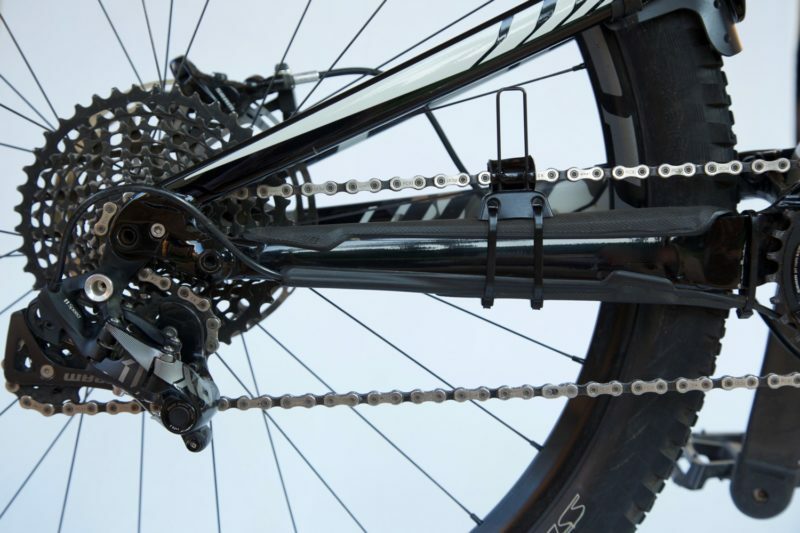 Chaintamer protects both your chainstay and seatstay and makes your bike quieter on the trails. Now you can finally get rid of that old inner tube wrapped around your chainstay. 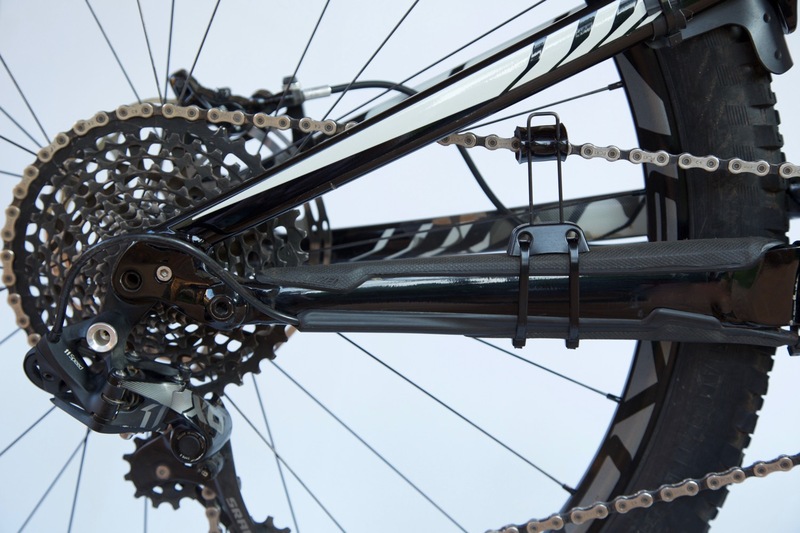 Your Chaintamer must be tall enough to reach the chain from the chainstay while the chain is in the largest cassette/chainring combination – Chaintamers come in 10mm size increments. Position your Chaintamer approximately halfway between the crank and the cassette. Always orientate the Chaintamer so that the guide rails face the outside of the bike. 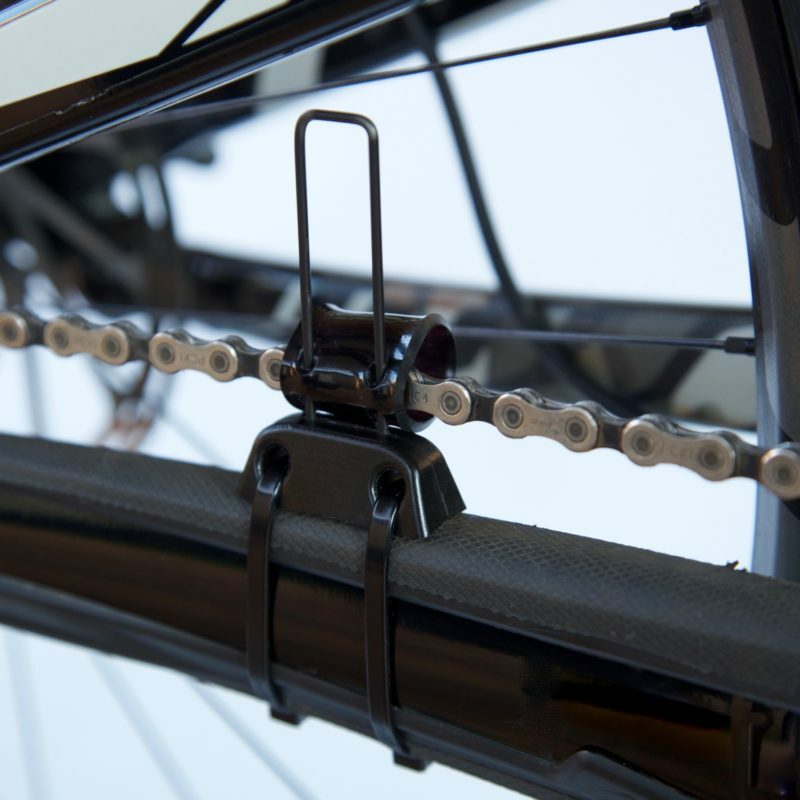 Ensure that your Chaintamer does not interfere with the seatstay or other parts of your bike. Use two large cable ties (included) to tightly mount the Chaintamer, it should not be allowed to wriggle on the chainstay. 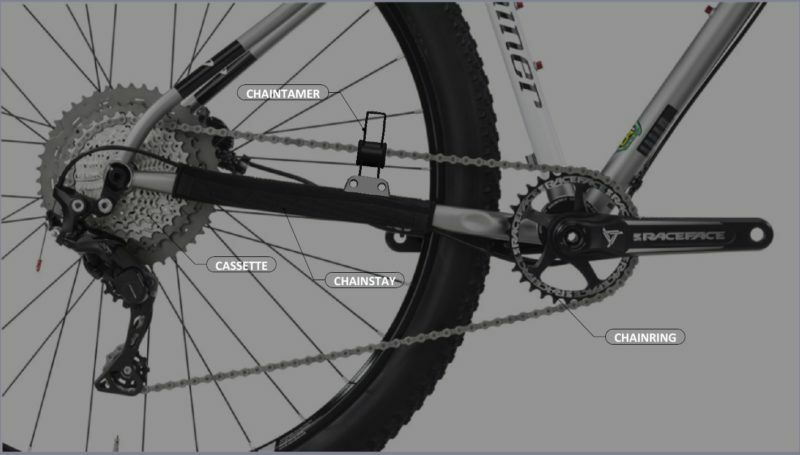 Your Chaintamer will eliminate almost all your chain noise, unless you use a front derailleur. Now you can hear your tires railing, your suspension whizzing and your heart rate soaring. Your Chaintamer is designed so the guide tube can slide on the rails to follow the chain as it goes up and down the gears. If the guide tube does not slide properly, it might need a tiny bit of lubrication on the rails – chain lube residue is usually enough. 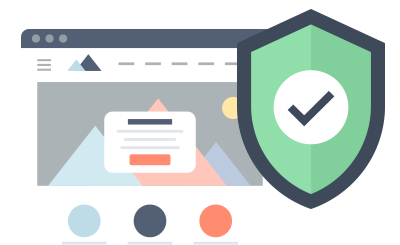 We are happy to help you choose the right size or with installation. Please contact us should you require assistance.